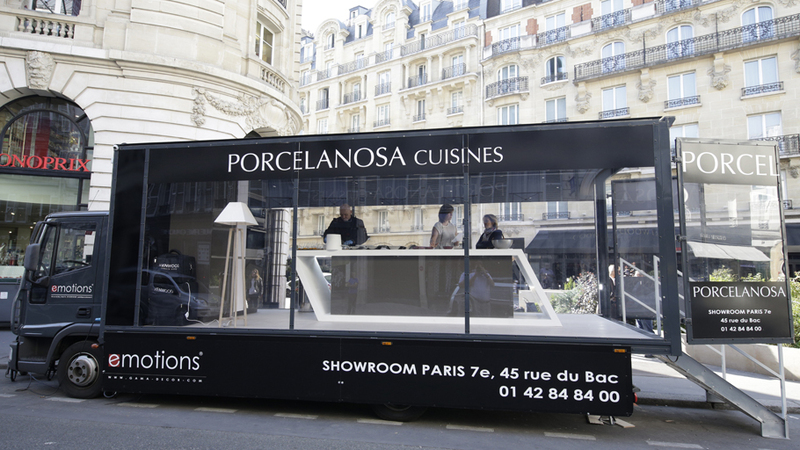 PORCELANOSA has launched the Emotions kitchens by Gamadecor in order to make this technically superior innovative collection be known through an original staging: a culinary roadshow along the streets of the French capital. 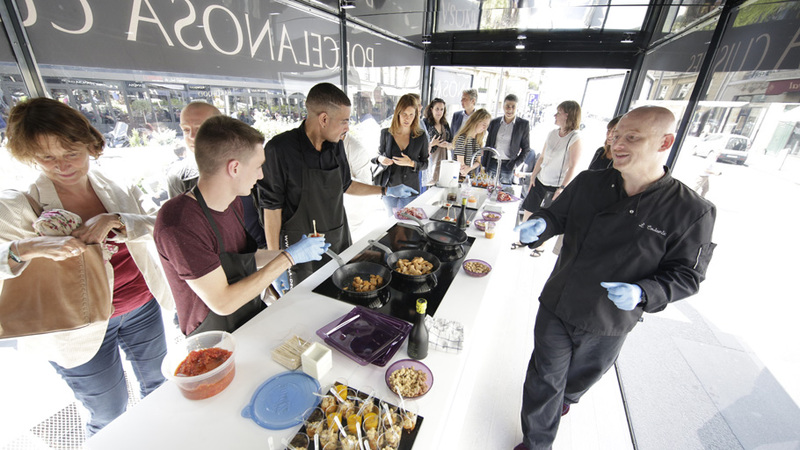 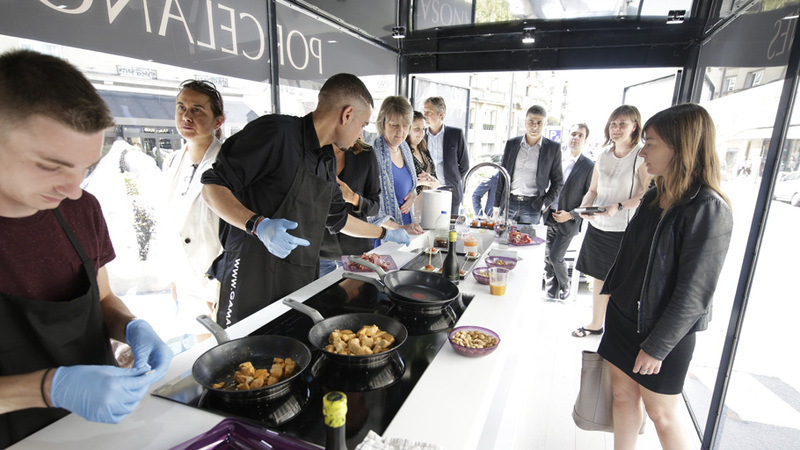 During June 17th and 18th a see-through vehicle equipped with Emotions kitchen furniture, specially designed for that occasion, was driven along the streets of Paris in order to show all the functionalities the new Gamadecor kitchens have. 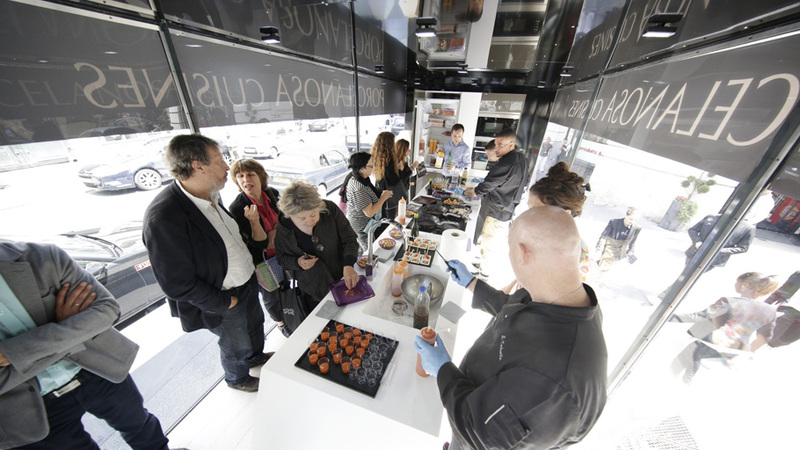 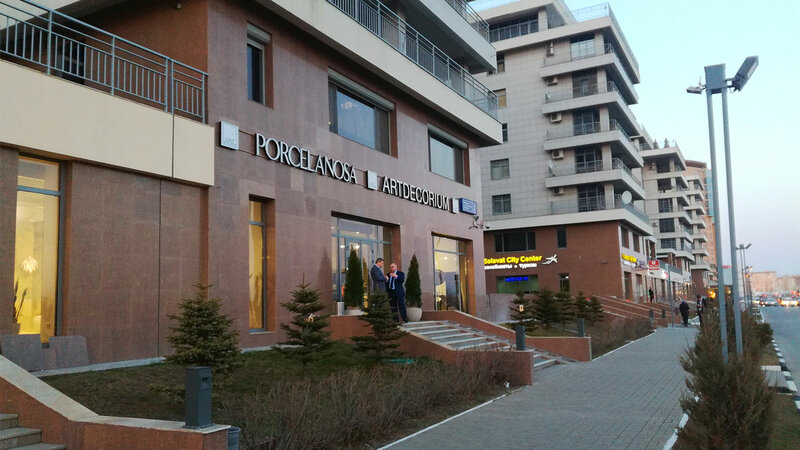 A chef was the person in charge of the preparation of different recipes, which were shown to the visitors live, and they were offered a delicious haute cuisine tasting as well. 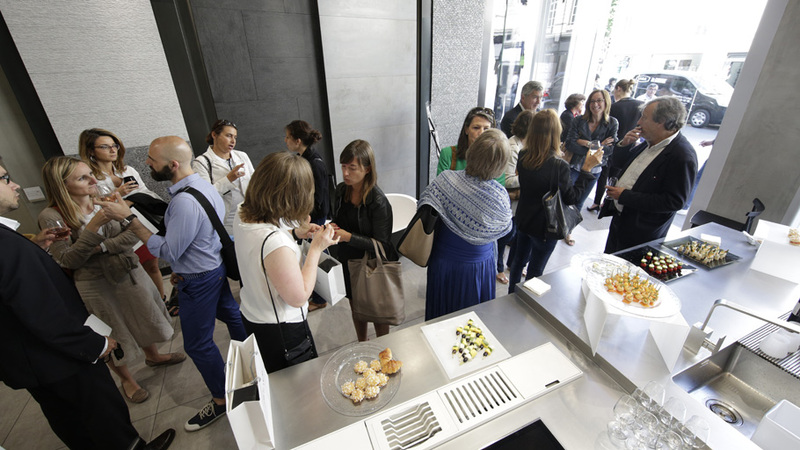 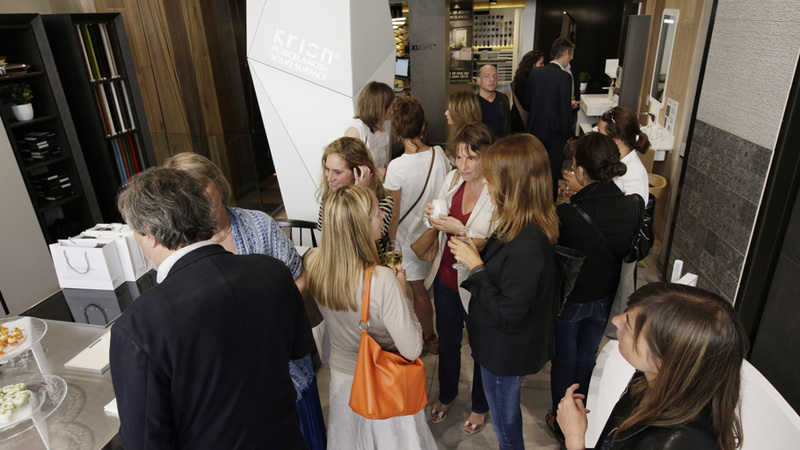 The starting point of this original roadshow was the 45 rue du Bac PORCELANOSA showroom, located in the centre of the French capital, and the 60 or so journalists gathered there were able to experience the quality of the materials, finishes and components that the Emotions kitchens have to offer at first hand. 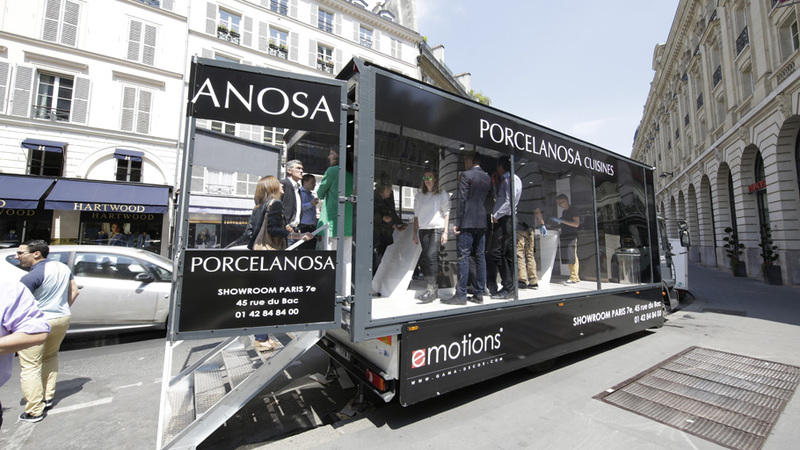 After spending the day in the elegant StGermainneighbourhood, the vehicle was driven to the vicinity of the Opera and the Bastille in order to make the Parisians take part in this original event. 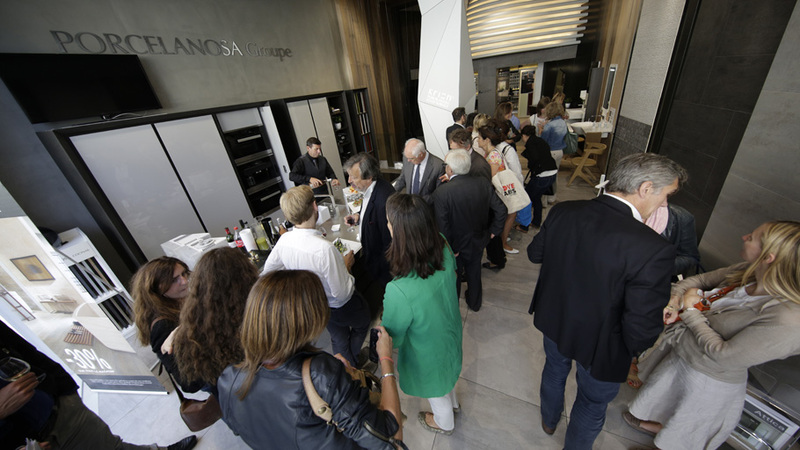 For that occasion, Gamadecor has designed an Emotions kitchen with a two-pillar piece of furniture with built-in appliances and storage cupboards; together with a wonderful island for the work area, trapezoidal-shaped and defined by the Krion® worktop, the solid surface by PORCELANOSA Grupo.The sink has been built in the worktop itself, which has several storage units. 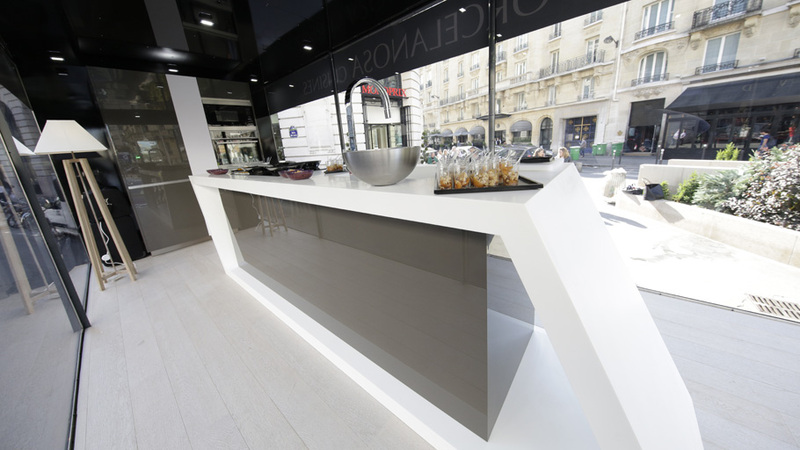 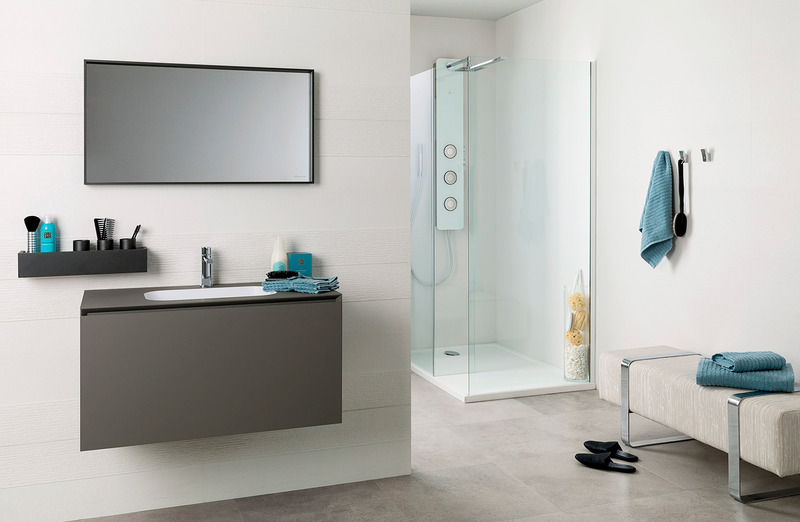 This Emotions kitchen is the E3.60 model by Gamadecor with 19mm thickness fascias in matt laminate, fingerprint-resistant nanotechnology, in Blanco Ghost colour and a high gloss laminate in Lodo Glass colour. 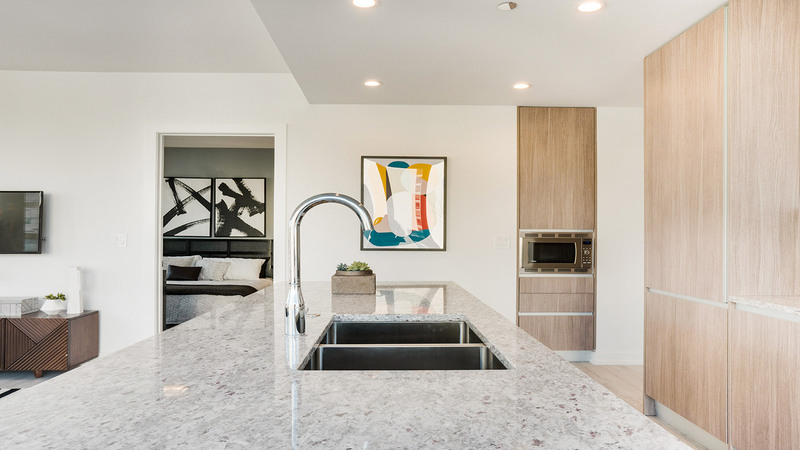 So as not to interfere with the simple clear lines of the kitchen, the aluminium handles are concealed in the door frames, providing this modern kitchen with minimalist aesthetics. 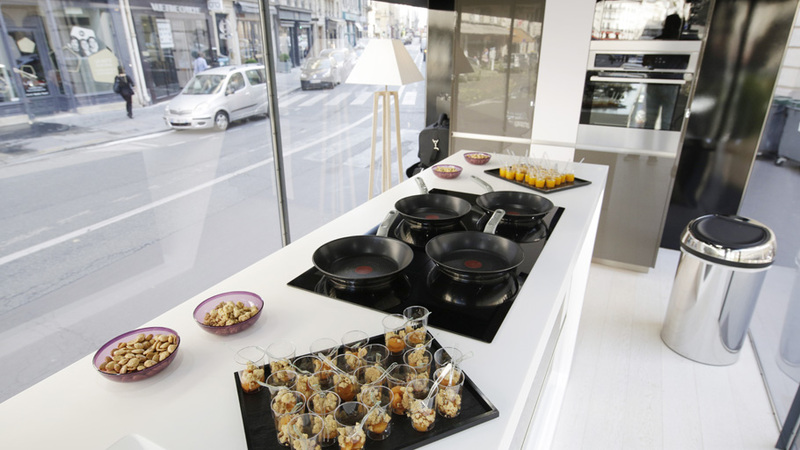 The Emotions kitchen collection by Gamadecor combines functionality and design together with avant-garde materials, resulting in an aesthetic proposal which adapts to the real needs of the user: an ergonomic design, high quality materials, larger storage capacity, scalable storage options, sliding working tables…, all together with numerous exclusive designs thanks to a wide range of finishes and a selection of more than 60 colours.